SACRAMENTO, Calif. /California Newswire/ — CA Senate Bill 1298, authored by Senator Alex Padilla (D-Pacoima), passed the Senate Transportation Committee today on an 8 to 0 vote. The bill would establish safety and performance standards for the safe operation of autonomous vehicles on public roads in California. The bill now moves to the Senate Rules Committee for a possible referral to a second policy committee. “SB 1298 will facilitate the advancement of autonomous vehicles in California. Autonomous vehicles have the potential to significantly reduce traffic fatalities and improve safety on our roads and highways,” said Senator Alex Padilla. “The vast majority of vehicle accidents are due to human error. Through the use of computers, sensors and other systems, an autonomous vehicle is capable of analyzing the driving environment more quickly and operating the vehicle more safely,” said Senator Alex Padilla. Recently, car manufacturers have introduced a variety of semi-autonomous technologies including adaptive cruise control, lane departure warning systems, pre-collision braking and self-parking. Autonomous vehicles are the logical next step. Google and several automakers including BMW, Audi and Volvo have been pursuing driverless technology with the goal of greater safety, improved fuel efficiency and increased roadway capacity. Google’s self-driving vehicles have been test driven more than 200,000 miles in California. “Advancement and deployment of autonomous vehicles will not only save lives, it will create jobs. 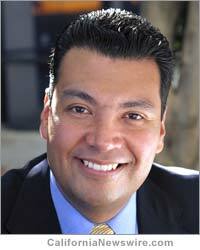 California is uniquely positioned to be the global leader in this field,” added Senator Padilla. Last year, similar legislation was signed into law in Nevada. In addition, Arizona, Hawaii, Florida and Oklahoma are all currently considering autonomous vehicles legislation.